Faithful to the family tradition, Francisco Ferreira brought fame and prestige to Quinta do Vallado, whose wines are already a reference in the international milleu. The strong, warm colour immediately stands out from between the vineyards already dressed in autumn shades. Hot and intense, it reminds us the typical summer days in the Douro, when temperatures exceed 40 degrees, and the light is powerful enough to hurt the eyes. It is a surprising colour, half way between yellow and orange, and which is present everywhere in Quinta do Vallado, one of the most famous Quinta’s in the area; in the manor house, which dates back to 1716, and today is a refined area of enotourism, in the emblazoned chapel with the arms of the Taveira’s, its first owners; or in all the labels of its very acknowledged wines as the Quinta do Vallado Tinto Reserva 2003 and 2004. But also in the small Orange tress which dot the paths of a beautifully cared garden, and even in the small houses that shelter the workers and which stand in all lots of the 70 hectares of vine which surround the property. It is of a special ochre, they say, obtained through an old formula where the knowledge of time is mixed with limestone, water and ferrous sulphate. “With the first coating, the walls go green, but afterwards, the paint oxidizes and reaches this final colour. With the sun and with time, it burns and gains different shades”, he enthusiastically explains. Francisco Ferreira is 34 years old, and is responsible for the agricultural management and production of Vallado, one of the several Quintas which belonged to Dona Antónia Ferreira, the famous “Ferreirinha from Régua”, in fact, his great-grandmother. Situated around five kilometres from Peso da Régua, the property extends along both sides of the river Corgo, fairly close to the mouth of the Douro, in a succession of buildings – house, warehouses, offices, cellars, storage balloons… – built in different terraces, so as to accompany the typical gradients that characterize the Douro region. In the hands of the Ferreira family since 1818, for more than a century, it was limited to cultivating grapes for the producing of Porto wine of the known company, also family owned, Porto Ferreira. But when, in 1987, it was sold to Sogrape Group, Vallado decides to become producer/bottler, go through with an own brand and thus make use of its excellent terroir, gaining not only prestige, but an obvious increase in value. “Since the forties, when my grandfather became the sole proprietor, that my family has made great investments in this Quinta”, Francisco Ferreira tells. 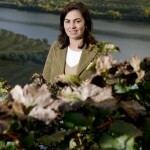 “First, we started by investing in the vineyard and increasing the production area. Later, already with my father, Jorge Cabral Ferreira, we bought more vineyards and built a series of infra-structures, for example, the wine cellar which we currently use, and which has been recently modernized”. But with the premature death of Jorge Ferreira in 1992, the Quinta became managed by his brother-in-law, Guilherme Álvares Ribeiro and his sister, Maria Antónia Ferreira. “I’ve always heard that both my father and José António Rosas were, in their generation, two great visionaries and lovers of the Douro”, he recalls. 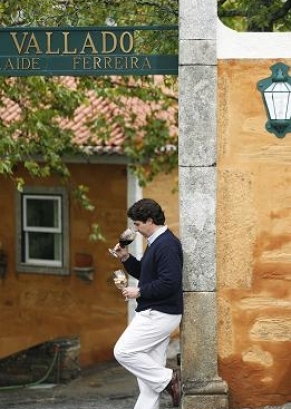 And he adds, without hiding his pride: “Thirty years ago, my dad bought Quinta da Leda for Porto Ferreira, and José Rosas, Quinta da Ervamoira for Ramos Pinto, two properties located in the Douro Superior, in inhospitable and inaccessible places. They were considered crazy. Today, they are the flagship of their respective companies, producing wines of extremely high quality”. 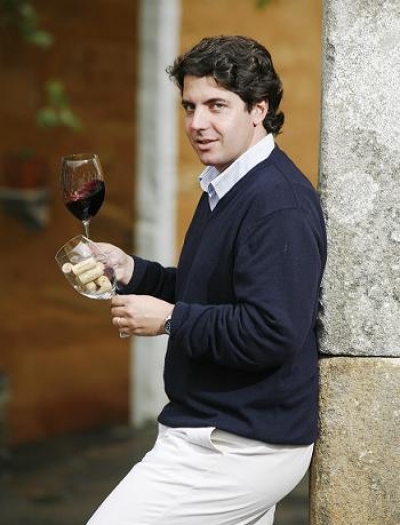 Of the five sons of Jorge Ferreira, Francisco was the only one to inherit his father’s love for the Douro and thus, in 1995, he starts to follow, although only partly, both the restructuring of the vines and the harvest, whilst completing his degree in Agricultural Engineering in UTAD – University of Trás-dos- Montes and Alto Douro, a choice dictated by the will to dedicate himself to the Quinta. In Quinta do Vallado, the primacy of quality is imposed, inclusively in small but important details, like the choice of stopper for its wines: Obviously, natural cork stoppers. But the dedication becomes complete from 1997, year in which he ends his studies and the first Quinta do Vallado Douro red and white is put on the market; a production of 17 thousand bottles for the first and 9 thousand for the second. From then onwards, with the help of Francisco Olazabal, oenologist of Quinta de Vale Meão and also a descendent of Dona Antónia Ferreira, Quinta do Vallado has been launching more and better wines into the market. At the moment, the production of Vallado Tinto is of around 120 thousand bottles; whilst the harvests of 2003 and 2004 of the high-end range of the brand – Quinta do Vallado Reserva –, earned two international annual awards of the highest prestige; the gold medal in the International Wine Challenge and the Douro Trophy. Meanwhile, the Bible of publications of the sector, the north-American granted 94 points to Reserva 2003, guaranteeing an honourable 28th place in its always-anticipated Top 100, more than enough reasons for today both making part of the small but known group Douro Boys, the new generation of Douro oenologists which have brought so much fame and awards to the region. Francisco also refers that the base of Reserva, which is only launched in years of exceptional quality, is made from an old vine with small production, but which gives a great structure to the wine: “Moreover, having several mixed varieties gives it an equally great complexity. We have also introduced some Touriga Nacional from the 45 hectares we replanted with new vine, but this only happens if it has a lot of quality, as is the case of the harvests of 2003 and 2004.” And, he insists, assured: “For us, what is important is quality, quantity is always secondary”. Hence the first Reserva is only launched in 1999, following the modernization of the old cellar constructed to vinify big volumes of Porto wine, and, therefore, endowed with very little technology. “This smaller cellar was built for smaller quantities of bigger quality, so that we have more control of vinification (temperature, pumping…), so that we can vinify a wine more sophisticatedly and to ensure the control of the several stages of the process.” The 2000, 2003 and 2004 Reserva follows, the latter with a production of 18 thousand bottles which were sold immediately. “If double the amount was produced, double the amount would be sold”, he admits, also referring that Vallado export fifty per cent of the total production, mainly to the United States of America, Brazil, Canada and England. And whenever one of the lots achieves an outstanding quality, as was the case of 2003 and 2004, the respective monovarietals (or monocasts) are launched. “It was the case of our Tinta Roriz 03 and Sousão 03 and 04, this latter being a variety which is not frequently used in the Douro, but which I believe has a future, because it has unique characteristics; an unbelievable colour, of an intense black, and a lot of natural acidity”. In Quinta do Vallado, the primacy of quality is imposed, inclusively in small but important details, like the choice of stopper for its wines. “Obviously, natural cork stoppers”, Francisco Ferreira defends. “It is what makes more sense to use in the preservation of wines that are meant to be stored of a high and medium-high range. In my opinion, the cork stopper is the best stopper that exists, and, moreover, it is a natural product which meets our concerns for the environment, for we strive to pollute as little as possible”. In fact, in Vallado, the level of demand is so high, that each lot of corks needs to previously go through a careful analysis by an independent company which verifies and guarantees the absence of defects which could negatively influence the wine. And then Francisco smiles and concludes: “We do everything for the excellence of our wine”.